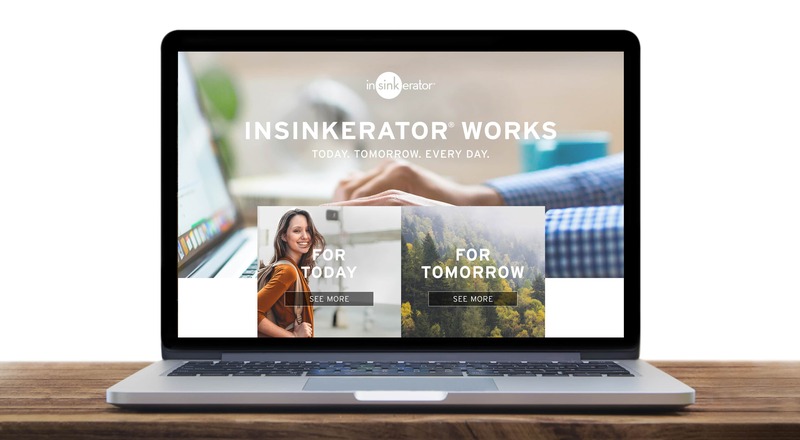 InSinkErator Works is a new marketing initiative introduced by C-22 to encourage young professionals and skilled workers to consider InSinkErator as the ideal location to begin and grow their careers. This initiative kicked off with advertising in MKE airport terminals. C-22 developed the look and messaging for these 6-ft by 6-ft backlit displays to welcome travelers to Milwaukee and pique their interest about the positive impact InSinkErator is having on the environment. These displays direct visitors to InSinkEratorWorks.com, a microsite written and designed by C-22 to speak to the immediate and long-term career and environmental benefits of working for InSinkErator.